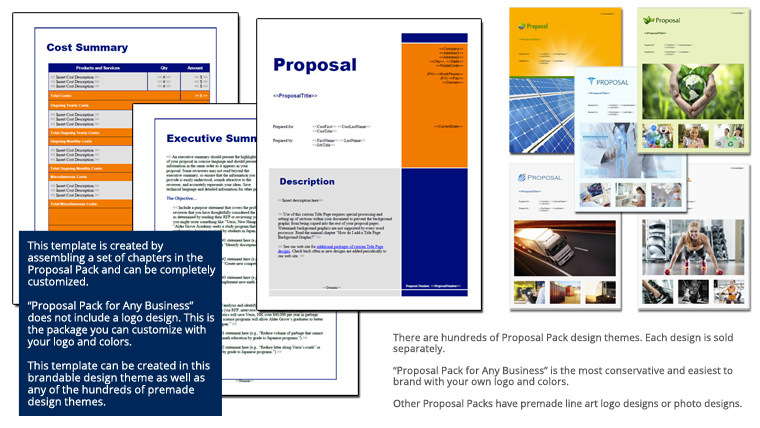 This 31 page layout is included with Proposal Pack. Create variations of this document of any length to suit your specific needs. Order and download for $79. This is a comprehensive set of topics for a more complex services sales proposal. Kit when I was looking for some pretty last minute solutions to help me prepare and organize a professional proposal. It was fast, easy and affordable. I was able to use the templates to quickly organize my proposal data and package in and attractive and professional looking format."